Hello everyone. 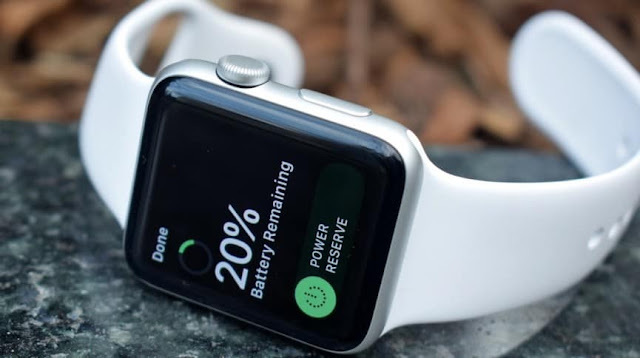 It is good news for all those Apple Fanboys who were trying to get their hands on the Apple Watch or should we say “Get Apple Watch on their hands” but couldn’t due to the apparent reason – its price. We are organizing an Apple Watch giveaway specifically for our readers. Anyone can enter this giveaway and stand a chance to win the grand prize – a series 3 Apple Watch. If you have always wanted to buy this luxe gadget but couldn’t because of its extravagant expenses or your tight budget, then we are giving you an opportunity to get hold of a brand new series 3 Apple Watch. As a promotional offer, we are organizing this giveaway where we are giving our readers a chance to win five series 3 Apple Watches. You just have to enter this giveaway, and this Apple watch can be on your wrists. There are absolutely no hidden costs or any kinds of surveys. You just have to follow some simple guidelines, and you will be eligible to win a premium watch which not only tells you the time but is designed to do much more. When it comes to designing premium devices, Apple sure knows its way. It is much more than just a smartwatch. It is far ahead of the typical smartwatches available in the market. It is more than just a wearable that monitors your day to day activities. It is an experience. The Apple Watch has an iconic design. The rounded curves of this rectangular piece of art look exquisite. It is a fascinatingly self-contained info bubble that keeps you connected to your iPhone even when it is far from your reach. Couple it with the Apple Airpods and you will unleash the real potential of this device. With the latest series 3 Apple Watch, you can monitor your workouts, heart rate, calories burnt on the go. Thus, it helps you to keep your body in shape. With the new cellular connectivity introduced to the series 3 Apple Watch, you can receive calls, even when it is not attached to your iPhone. You can stream your playlists and radio directly to your Apple Watch. The gadget is water resistant, and swimmers or water athletes can use it too. Apple Watch has a dazzling and vivid OLED display which offers decent visibility outdoors. The glass is durable and can easily bear drops and falls. Apple’s virtual assistant enables the users to use the smartwatch hands-free and also makes it fun to use it. With these incredible features and aesthetic design, everyone would want an Apple Watch for themselves. However, you can get one without digging a massive hole in your pocket. You do not have to spend your hard earned money and savings on this gadget.